Reduce? Reuse? Recycle? Plea for Craft Suggestions!! Short Story: I need suggestions! 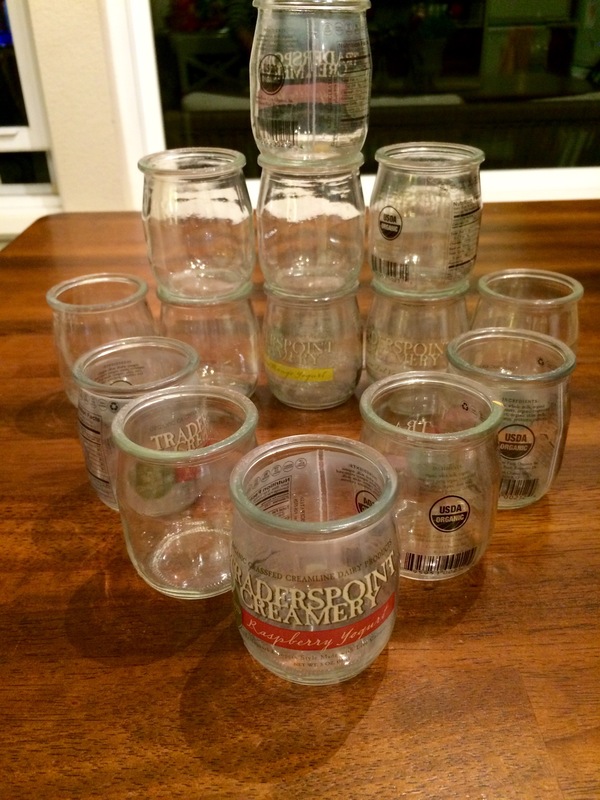 What would you crafty, clever, creative people do with a bunch of small, glass 5 ounce jars? I don’t just want to just put them in the recycle bin, and there are no lids for the jars (they come with a foil lid). 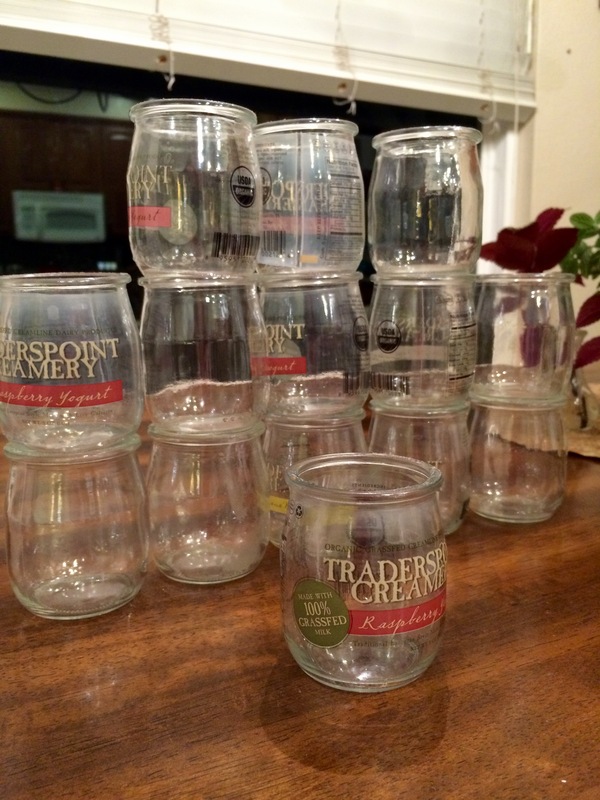 Long Story: When we moved back to the West Coast, I knew that it meant losing Traders Point Organic Creamery, a local gem in the Indianapolis area. Here’s a secret: with enough whining, pleading, and repeated requests, dairy managers just might start carrying Traders Point for you, too. After only a few begging sessions from me, my favorite Midwest yogurt became available here, thanks to the fabulous Whole Foods dairy manager. At first they carried just the quart jars in plain, Mango Banana, and Wild Berry flavors. Then, a few years later, the best flavor in the world (seriously, The Best, I would never exaggerate in a million years), Raspberry arrived but only in 5 oz glass jars. 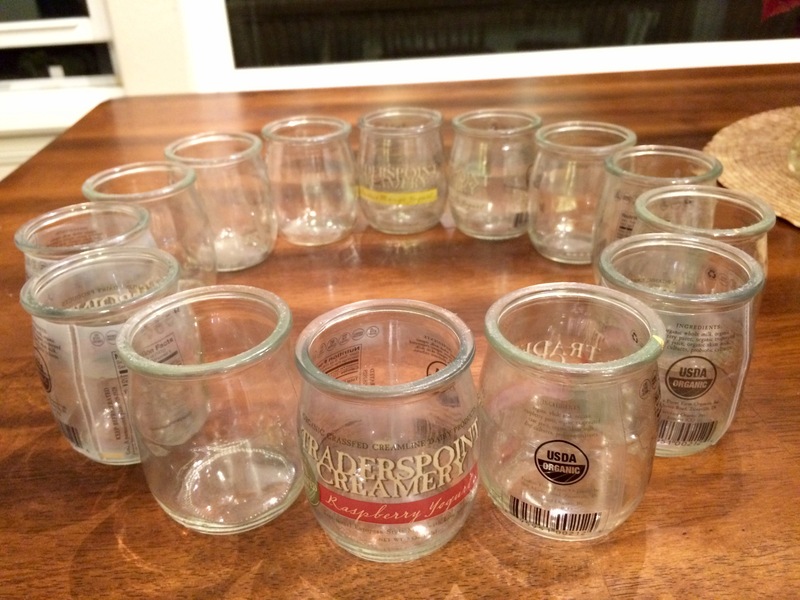 Now I have a LOT of 5 oz glass jars. Pinterest searches have turned up nothing, by the way. That surprised me. 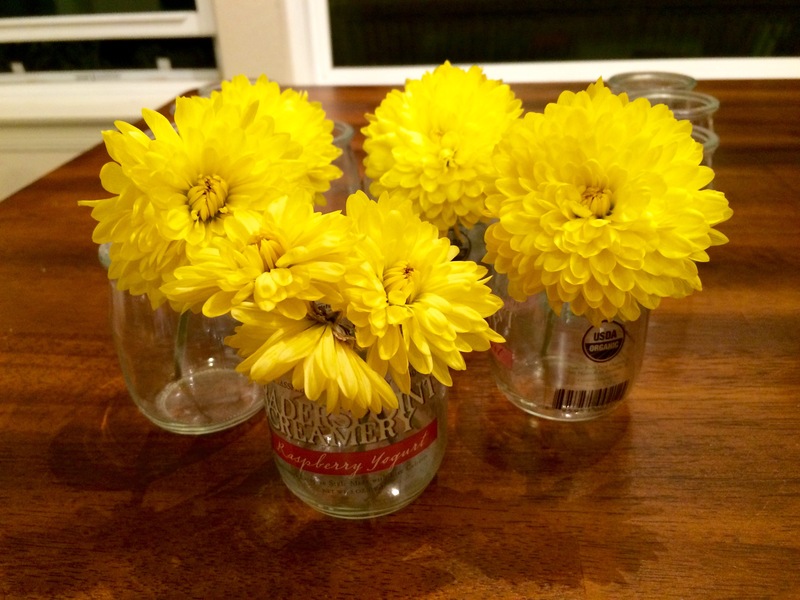 Vases are not what I am thinking of… but this sure looks cute, doesn’t it?